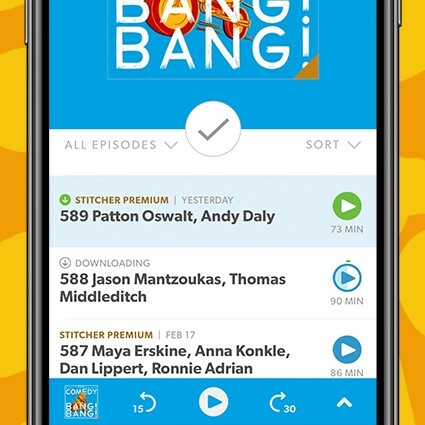 Easier Downloads — Downloading episodes has been completely redesigned from the ground up! 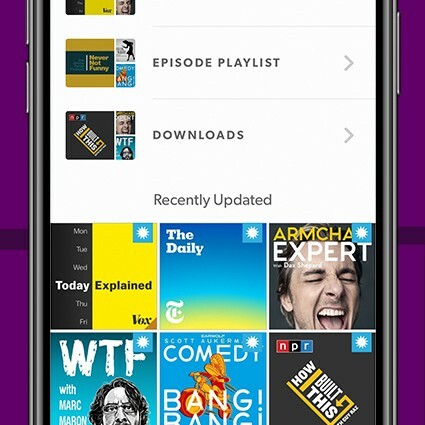 View pending and completed downloads in the new downloads list in the“My Podcasts” section. Want to remove an episode from the downloads list? Just swipe to delete. We’ve also redesigned the way downloads appear on show pages to make it even clearer to you what is downloaded, or what is in progress of downloading. If an episode is downloaded, the play button is green and a download icon appears over the title. My Podcasts Update — Get to new episodes even quicker with the new “Recently Added” section! We also renamed “Saved Episodes” to “Episode Playlist.” Same function, new name. 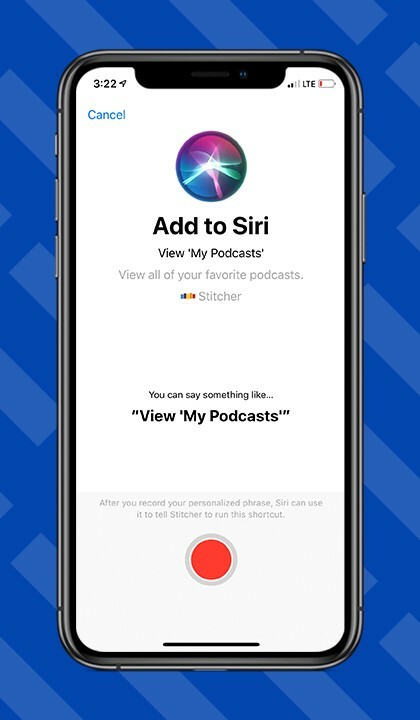 Siri Shortcuts — “Hey Siri, view my favorites.” Now Stitcher supports Siri shortcuts. Customize your own voice commands to get to what you want quicker. 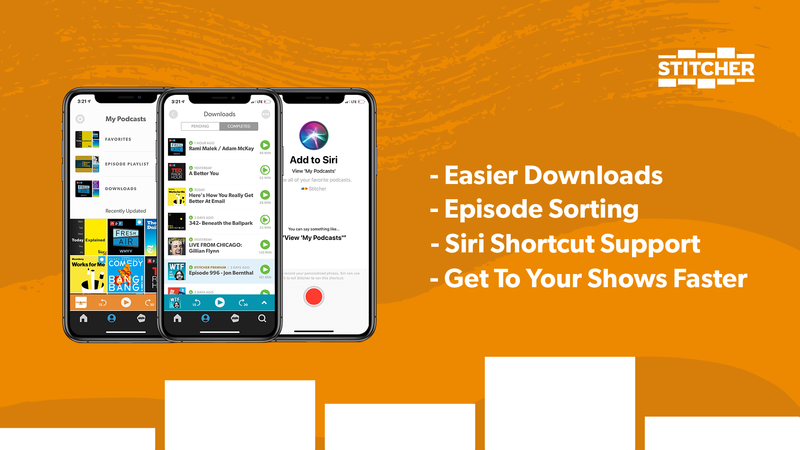 Stitcher shortcuts will also show up on your lock screen and spotlight search to help you get to your podcasts even faster! We also fixed a bunch of bugs and did a bit of visual clean up (Hello new player controls!). Oh and in case you missed it, you can now turn off the “Resuming Episode” voice. Let us know what you think via the Help section in the app or hit us up on Twitter, Facebook, and Instagram.